Possibly a silly question, have brought a nextbook tablet to connect while I fine tune a couple issues..have downloaded pc link and that's all sorted I can't work out how to display the inputs as I'd like? You can configure the look of PCLink however you like, but doing it on a tablet could be tricky. One solution would be to design your layout on a laptop/PC, save the layout file (Layout > Save Layout File As..) and then email it to the tablet and then open it in PCLink on the tablet. When it comes to actual design of the layout, you can add new pages by clicking Layout > New Page. You can add a gauge wherever you want one by right clicking in some available space and then selecting the gauge type you want. Thanks I was having a play then discovered the new page piece...will fire up the old laptop as your right.hard on tablet. The only other issue is the glare that you will get. I like the warning that it does to the gauge box when it reaches your warning setting like IAT and ECT. I also run a view to see when the fan switches on. I haven't found anything for speedo correction though, so my plan is to build the jay car kit one and correct it on the Link. I have been building a Subaru powered street roadster for a couple years. Now doing speedo and fuel level--I assume the equation setting ability will allow me to set speed. The other inputs are OK. The warnings seem to work---only trouble I had was getting gages to give warning below and above an area. Setting speed is easy, enter your gear ratios in the Gear Ratio Table (Not straight from your transmission gear chart) There are decent instructions in the help. I used a GPS to determine my cars correct speed, then adjusted the parameters till the ECU was reading my real road speed. Works great.. This also works well to show what gear you are in on your dash. 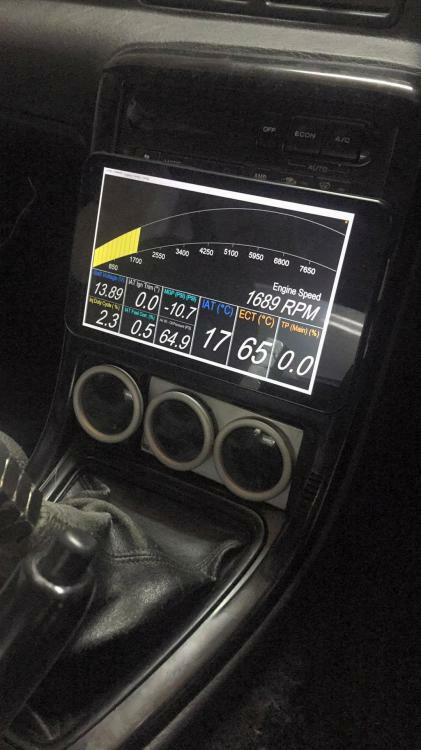 I would love to see what people have managed to display on a tablet (and how) from their LINK ECU. Planning on doing exactly this soon, but any examples would be excellent. I did this quite some years ago now and still use these setups for people and myself. This thread has caught my interest, I've been looking at Windows tablets out there but only a few have full size USB ports, and many charge from the USB port as well which makes long term use challenging - Are there any well priced tablets out there that fit the bill? 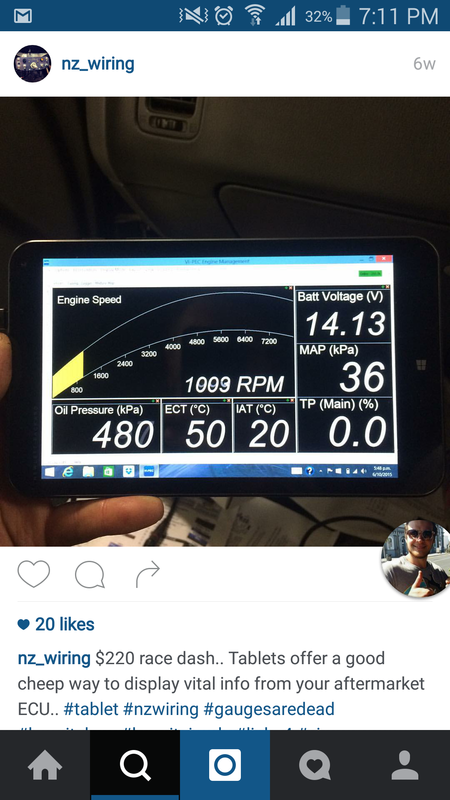 Check out the Winbook TW series tablets, they are under $200 and come with a full size USB. Can anyone recommend a dual USB Windows tablet to achieve this? Preferably with at least one full size USB slot. i can't find any suppliers of the Winbook TW series of tablets (in the UK). Anyone managed to use a windows tablet with USB c connected to a USB C hub for power and data? Every brand/model is different, some will work, some wont.